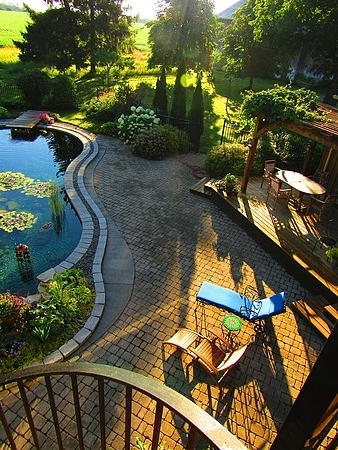 Picturesque country oasis - natural beauty and ultimate comfort. 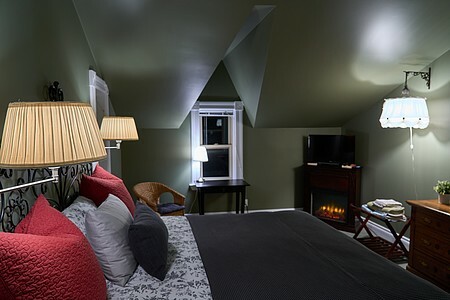 Our current rates: $100.- for single occupancy, $120.- for two people, plus HST. Rates are based on bookings of 2 nights or more. Please inquire about availability and pricing of bookings for just one night. Open late May to early November. Beautifully scenic rural location, not far from many attractions, festivals and events. Check out our website above for inspiration on things to do! We invite you to our welcoming home, where you can relax in a private guest suite with your own gorgeous bathroom, an electric fireplace and a balcony. 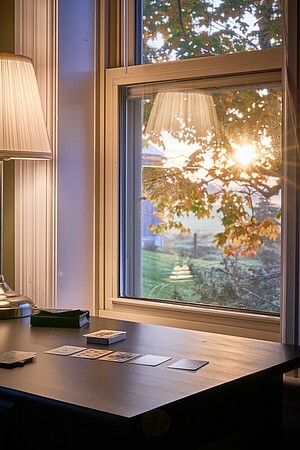 The bedroom windows catch sunrise and sunset. You might not even feel like turning on TV, DVD or Wifi, but if you need to, it's there for your convenience. Your suite features a king-size bed with cotton bedding and a top quality mattress. In summer, enjoy a refreshing swim in our heated pool. 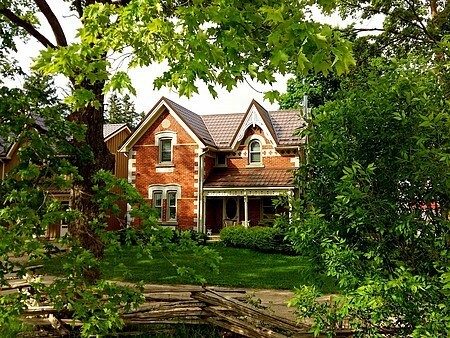 Enjoy the peaceful country views around our hobby farm, framed by towering Maple trees, overlooking our historic bank barn, agricultural fields and the nearby Grand River Valley. Take a stroll down to the pretty and historic 12th Line bridge. 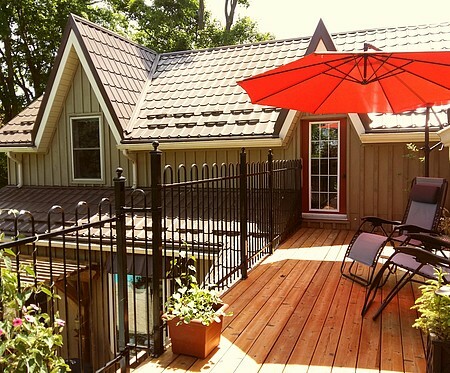 Just an hour from Toronto, located half-way between Orangeville and Fergus. Your host speaks English, German and French - Wir sprechen Deutsch - On parle français. Check In/Check Out : Check in 4 pm, check out by noon. We will gladly accomodate special arrangements if possible. Cancellation : 100% refund for cancellations with 72 hours notice. 50% refund prior to 24 hours. Full charge with less than 24 hours notice. Seasonal Information : Open late May - early November.